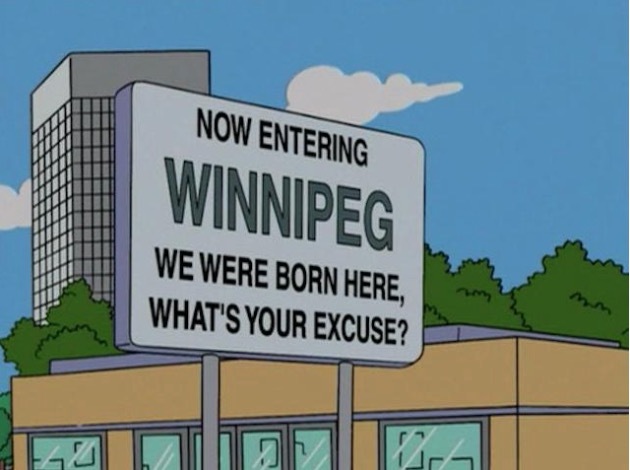 My impressions of Winnipeg prior to arriving were more neutral – as a pop culture addict, I knew the episode from an episode of The Office poked fun at Winnipeg winters, while a mention on The Simpsons made light of Winnipeg’s reputation for self deprecation, among dozens of other throw away lines in movies and on tv. Neil Young, Nia Vardalos, Anna Paquin, and Winnie the Pooh — plus a bunch of famous winter sports people I’m clueless about – all hail from here. As a traveler, I knew it is as the gateway to the polar bear mecca of Churchill, a bucket-list trip for wanderers around the world. Traditionally, the rest of Manitoba rarely found its way into the destination daydreams of travelers – but that’s starting to change. Recently, National Geographic named a journey to Winnipeg one of 2016’s Best Trips – how’s that for an endorsement? Affectionately nicknamed “The Peg” by the residents who love it, the city holds around 75% of the population of Manitoba – who despite their penchant for self-deprecating jokes, seem genuinely proud of the place they live, and for good reason. Throughout my visit I asked people over and over again, “what do you love about living in Winnipeg?,” and I always found myself smiling at their answers. Friendly people. Family first. The cultural benefits of a big city balanced with the simplicity of life in a small town, in a simpler time. How to get around: Much of the city is walkable. For the bits that aren’t, Uber and Lyft are sadly not available, though Unicity Taxis can be ordered by phone or by app and found at some hotels. Though I didn’t use it, there is an efficient Winnipeg Transit public bus system that can be navigated with the help of the Navigo tool. Bonus tip: Follow Travel Manitoba and Tourism Winnipeg on Instagram for plenty of pre-trip inspiration! As a travel blogger myself who grew up in Winnipeg, I’m excited to see this fresh look at my home town. Great writing, Alex!